WHEN WORKING with a large team, we often tend to spend too much time at meetings. In fact, office workers consider too many meetings to be the greatest time-stealer at work. Here’s another concerning number. Most employees attend up to 62 meetings every month and estimate that half of this time is unproductive. This leaves us with 372 wasted hours every year. Per one employee! In a recent interview with Slate, Dave Gilboa, the co-founder and co-CEO of the $1.2 billion eyewear company Warby Parker shared a technique to make the most out of meetings and filter out inefficiency. If you asked your team members to evaluate your last meeting on the scale of 0 to 2, what would they say? It might be difficult to find the inner courage to ask this question. Most leaders avoid assessing the productivity score of their meetings because they anticipate an alarming response. 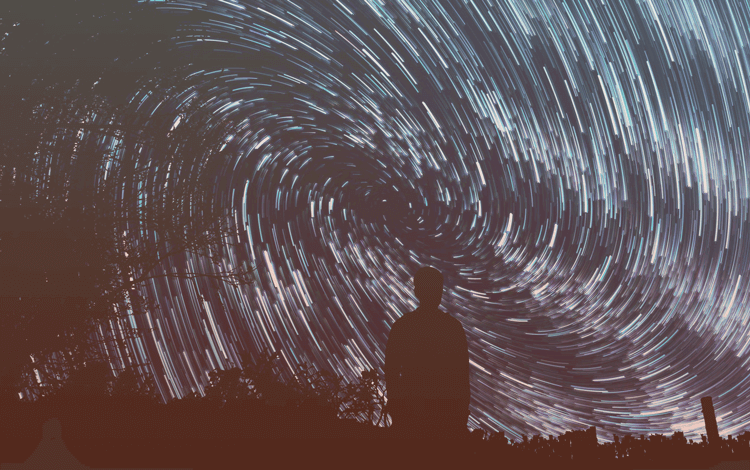 What can we do to predict negative feedback (or worse, time wasted) and turn our meetings into productive hubs of innovation and effective decision-making? 99% of companies are guilty of this rookie mistake – they hold meetings because of tradition. We attend weekly and monthly team meetings not out of need, but just because we’re used to. Recurring meetings ofter turn into a celebration of inefficiency and aimless chatter about the past week. What’s missing is a set agenda of topics we’re actually supposed to discuss. And we all know that consultations without a clear goal pass by without the discussion of relevant topics and the exchange of expert insight. According to a study published in Harvard Business Review, the problem is compounded by the fact that no one is explicitly responsible for managing the leadership team’s agenda. This leads to meetings that lack focus and touch upon many topics, only to discuss each one of them impartially. On a scale of 0 to 2, these meetings would undoubtedly score 0. Organising meetings because of a habit is called historical precedent by business performance researchers. How does your company measure up in terms of corporate silos? Are you still stuck with outdated techniques or are you moving towards greater efficiency? Each week before the meeting, we need to ask ourselves whether there’s a real need for gathering. Is there a goal for the meeting? If the objective is to simply inform each other of recent updates, this could be done much more efficiently by creating a shared Google Document where each team member writes a paragraph about their ideas and recent work. It is only natural that urgent and critical matters need to be discussed ad hoc. Or do they? When asked in a survey how they set meeting priorities, most executives said they were driven by the crisis of the moment. If there was a problem in Unit A, the meeting’s agenda revolved all around tackling the specific problem, leaving aside Units B and C.
While problem-solving is a priority and demands a quick meet-up, it isn’t always most efficient to call together all decision-makers. The problem with urgent meetings is that they demand everyone involved to stop working on their current projects and aggregate their focus to the critical matters. Frequently, all executives are gathered together while only two or three of them have the power and knowledge to fix a problem. Less than 5% of survey respondents said their company had a rigorous and disciplined process for focusing top management’s time on the most important issues. This leads to hours of valuable time wasted at frustrating meetings with no imminent decisions. What’s the ROI of your business meetings? Low ROI results in gathering together many specialists who do not actually need to be present at the meeting. A high ROI indicates that only the essential people are invited to meet-ups, leading to higher efficiency, and lower procrastination. 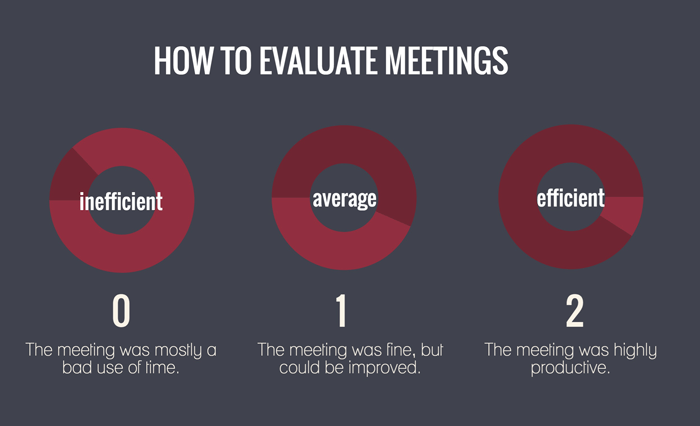 Performance measurement is one of the key routes to more effective meetings. Sometimes, the urgent matters only need a few quick phone calls instead of a lengthy meeting. You can use time tracking software to find out how your time’s most productively spent. What’s the core benefit of gathering a group of experts into one room and accumulating their attention on one topic? The answer is a no-brainer – it’s the insight and knowledge they have. In fact, it goes further than that – a number of industry experts in one room can come up with innovative ideas and calculated decisions. Engaged discussions and reasoned decision-making are often overshadowed by the concept of information sharing and group input. The problem with these two buzzwords is that they never lead to actual decisions that move the company forward. Only 12% of executives believe that their top management meetings consistently produce decisions on important strategic or organizational issues. That’s a painstakingly low number. How does your company measure up in terms of decision-making capacity? Do your meetings produce innovative ideas and invaluable business decisions? To organise highly effective meetings, we need to start with a clear goal and understand who needs to participate in order for the problem to be solved or decisions made. Here are the three essential steps of productive meetings where long-term decisions are made. Step 1: Recognize the problem at hand and develop a list of growth opportunities to evaluate with the team.Use team management software to evaluate the full potential of your team and find new topics that need to be discussed. Step 2: Confirm an accountable person for presenting and leading the discussion about each opportunity and idea. Use scheduling software to inform all participants on time to avoid being late. Step 3: After you’ve agreed on something, stick to it. Follow the set timeline and activities for the next 2 months and then reassess whether you’ve reached satisfactory results. The easiest way to track your goals and progress is to set up a KPI dashboard with real-time updates to indicate your team’s performance. The change from meeting efficiency score 0 to 2 doesn’t happen overnight. It takes time to recognize problematic areas and bring purpose to every gathering across the company. Every big change begins with small alterations and changes in collective mindset.